Heating and cooling can be a big investment. 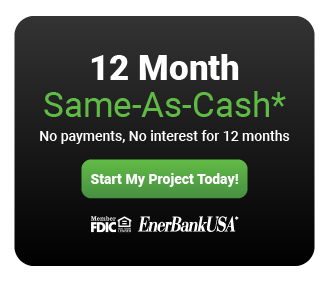 Clyde Jones Heating & Air has partnered with EnerbankUSA to provide you with low fixed APR financing programs so that you can make your purchase immediately without worrying about losing time or home equity. This is a lower cost alternative to high APR credit cards. We just made purchasing your new system quicker and hassle free. Call Clyde Jones Heating & Air today at 770-932-7046 to learn more about our products and financing. Most loans can also be approved within minutes over the phone with an easy to use application process. If for any reason you don’t qualify for an Enerbank financing plan, please call Clyde Jones Heating & Air immediately for further assistance. 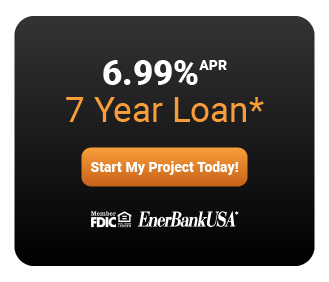 EnerBank has helped almost 700,000 homeowners get the financing they need to fulfill their home improvement dreams. APRs are locked in when your loan is approved and for the life of your loan. Your home is not used as collateral, so there’s no lien on your property. Plus, there’s no application fee, no closing and appraisal costs, and no prepayment penalties. * Repayment terms vary from 24 to 132 months. Interest waived if repaid in 365 days. 18.58% fixed APR, effective as of January 1, 2019, subject to change. Interest starts accruing when the loan closes. Minimum loan amounts apply ($1,000 – $65,000). ** Repayment term is 84 months. 6.99% fixed APR. The first monthly payment will be due 30 days after the loan closes. Minimum loan amounts apply ($3,500 – $65,000).